Step into the world of customized bath and body products that reflect your style and creativity. We are pleased to offer soap and spa making ingredients (bath bombs, lotion bars), finished soap products in unique designs, and soap classes. 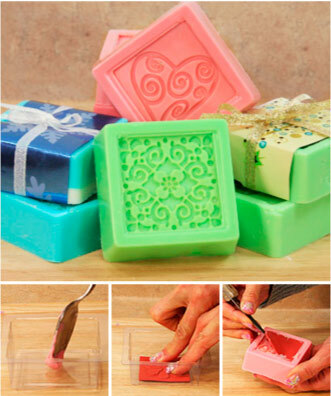 Our consumer soap products category includes high-quality Melt & Pour Soap Bases, specialty formulated soap dyes and fragrances, and of course a wide range of soap molds. Spa products include bath bomb ingredients, body butters, and bath salt supplies. We also offer a full range of soap and spa making kits that are packed with all the high-quality ingredients needed to make a full range of bath and body products. We offer a full range of soap classes from melt & pour soap making to cold process soap making and spa classes. Check out the classes section for more details.